This one-man play, set in Newport, south Wales at the turn of the last century, is a coming of age story. A lowly dockworker’s son idolises his hero, Harry Houdini, and commits himself to a life of magic, but the reality of working-class life in Edwardian Britain gets in the way. As he trains himself to emulate his hero’s escapology on the industrial detritus, his parents struggle to come to terms with their son’s eccentricity. With a head full of magic, our boy witnesses the most terrifying events of British industrial history and his personal journey collides with the world’s greatest showman himself, changing his life and the future of his community. How can you follow your dreams in a world where poverty weighs you down like mud? This beautiful play of hope and magic is a story of youthful imagination and joie de vivre, with a very real vein of jeopardy brought about by the harsh realities of working-class industrial daily life. 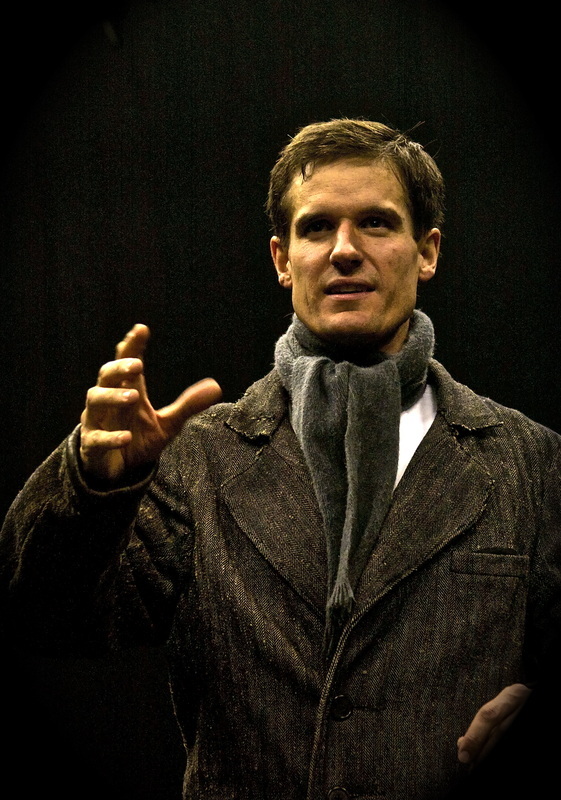 The production was inspired by the family stories of writer and performer Daniel Llewelyn-Williams (winner of the Wales Theatre Best Actor Award) and, of course, the real-life visits of Houdini to Newport. Written and performed by Daniel Llewelyn-Williams. ​Directed by Joshua Richards.